Thousands of tablets were recovered and five people arrested by police investigating suspected contaminated drugs in South Tyneside. At the weekend, five people were taken to hospital after falling ill.
Northumbria Police executed search warrants at eight addresses in the area and recovered about 4,000 tablets. Five men, aged 20, 21, 24, 25 and 26, were arrested on suspicion of being concerned in the supply of controlled drugs. 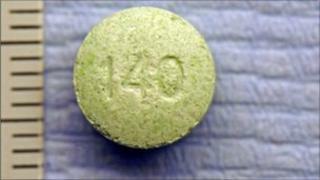 Police had already recovered a quantity of tablets and they were found to be ecstasy-based after laboratory tests. Seven people have already been arrested in connection with the incident and five of them have since been bailed.